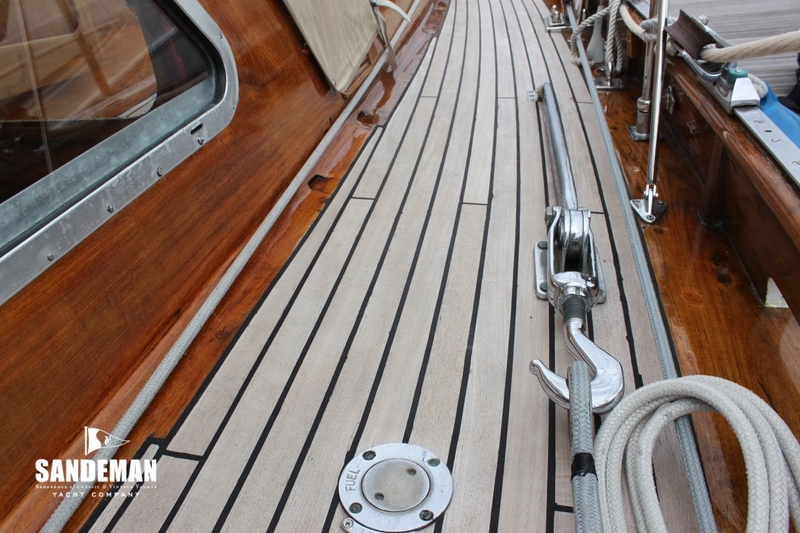 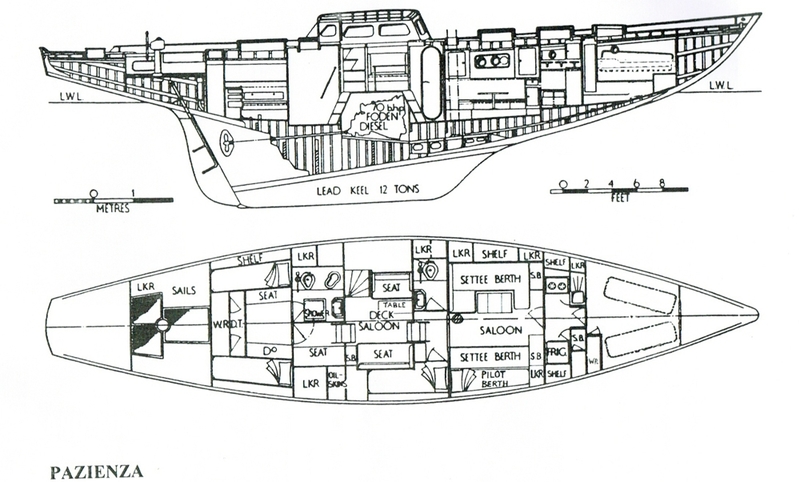 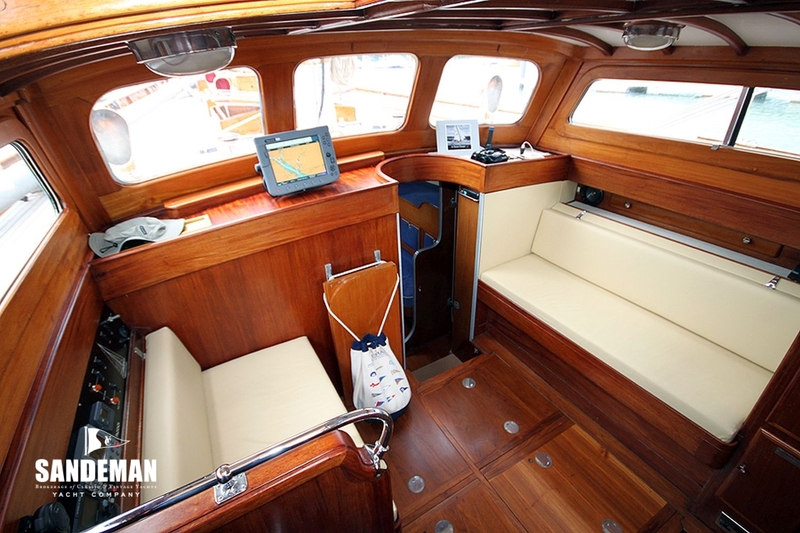 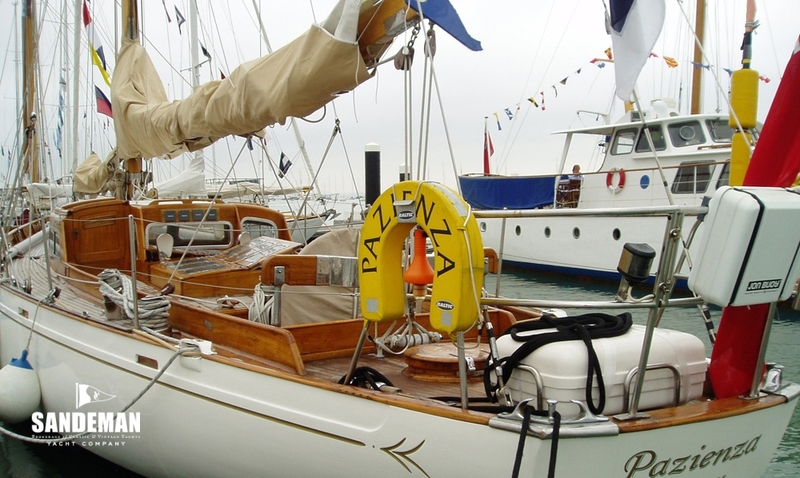 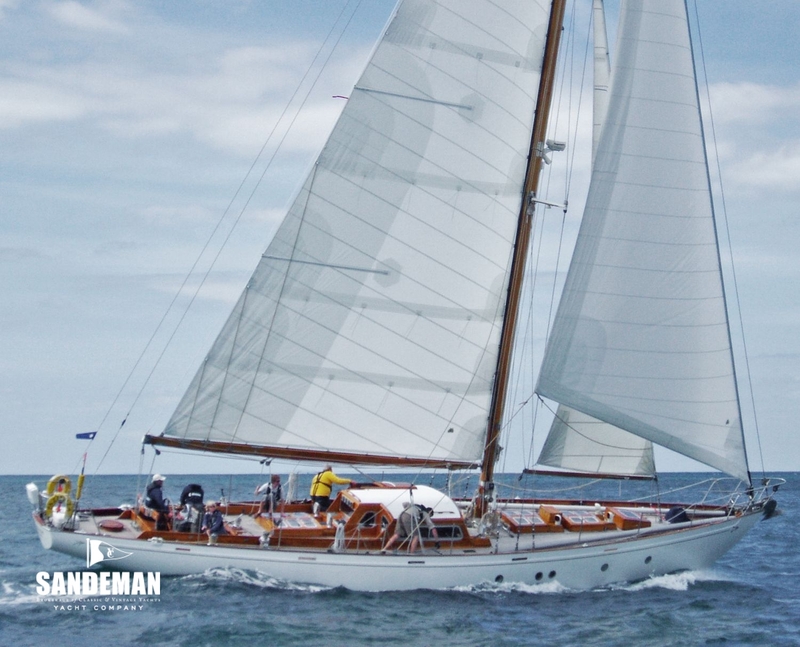 PAZIENZA was designed by Jack Laurent Giles and built at the Cantiere Navale V Beltrami in Genoa in 1956 for one of the shareholders of the company - Giacomo Bruzzo. 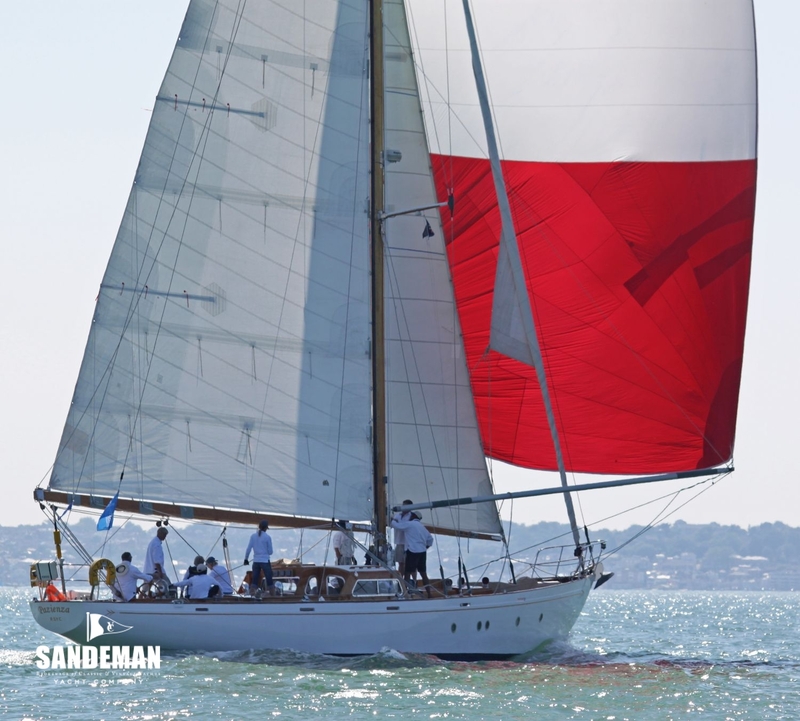 Laurent Giles seemed to achieve a seamless transition between traditional and modern styling - it is not surprising that PAZIENZA with her handsome sheers and understated English good looks was down to the last two nominees for the most beautiful boat in France in 2010. 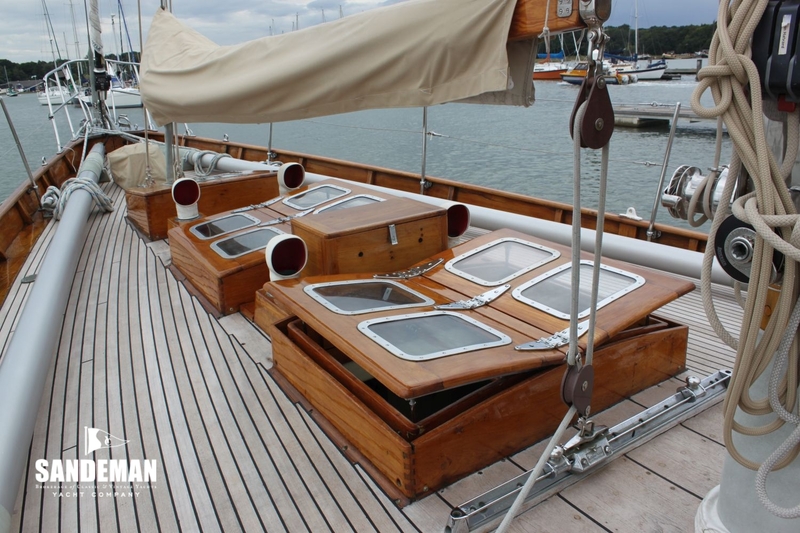 - Teak planking on acacia frames with 2 x bentwood frames between each. 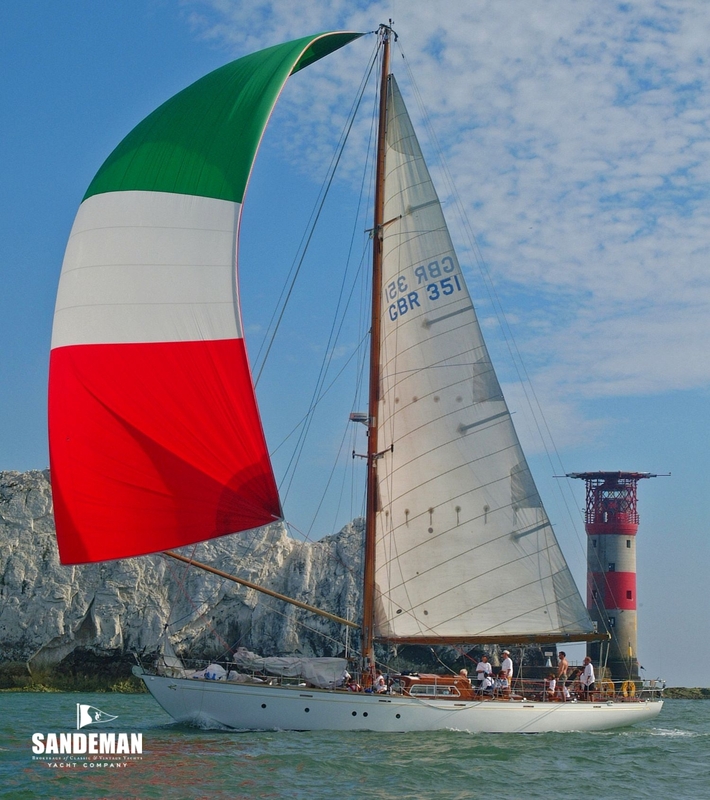 It is known that PAZIENZA raced regularly in the Mediterranean in the late 1950s, winning the Giraglia in 1959 with Andrea Giuseppe "Beppe” Croce at the helm. 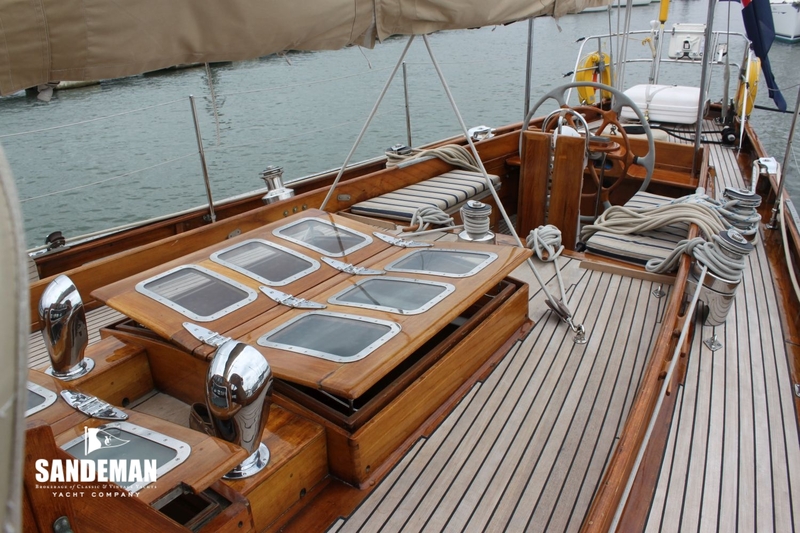 In 1960 she was used as an official yacht to transport important personalities during the Rome Olympics including; it is rumoured the future President Kennedy and his wife Jackie. 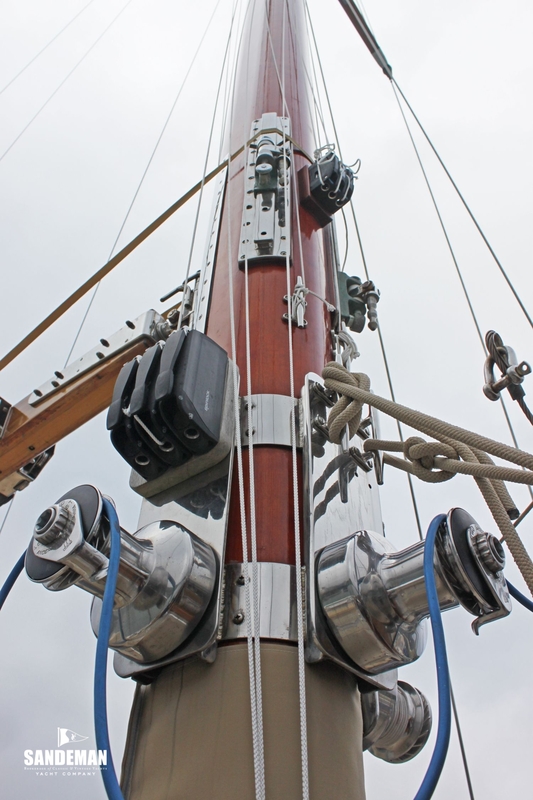 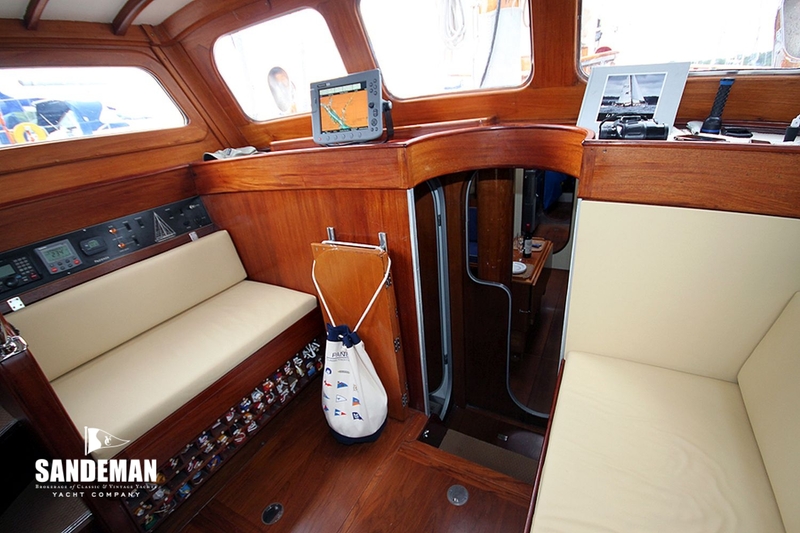 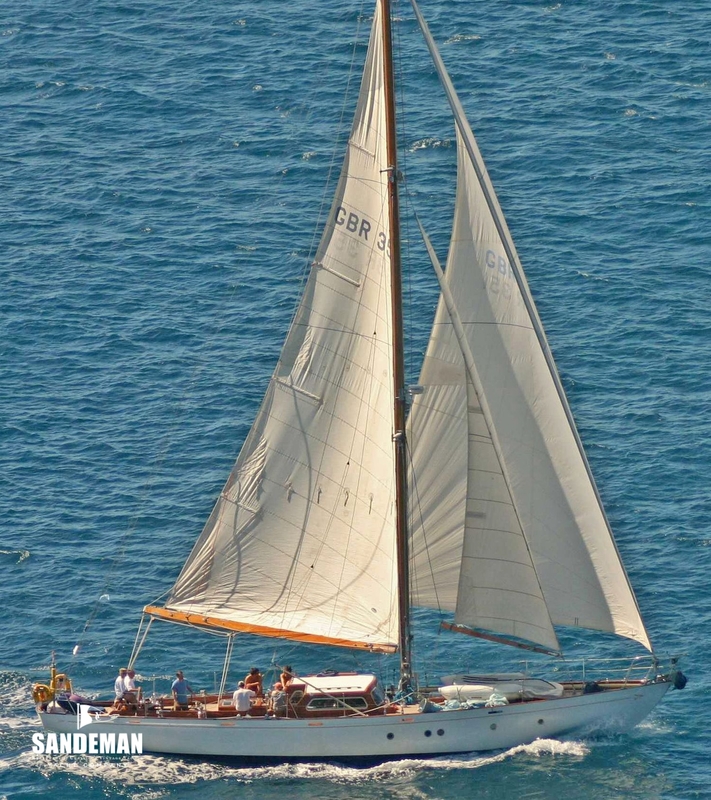 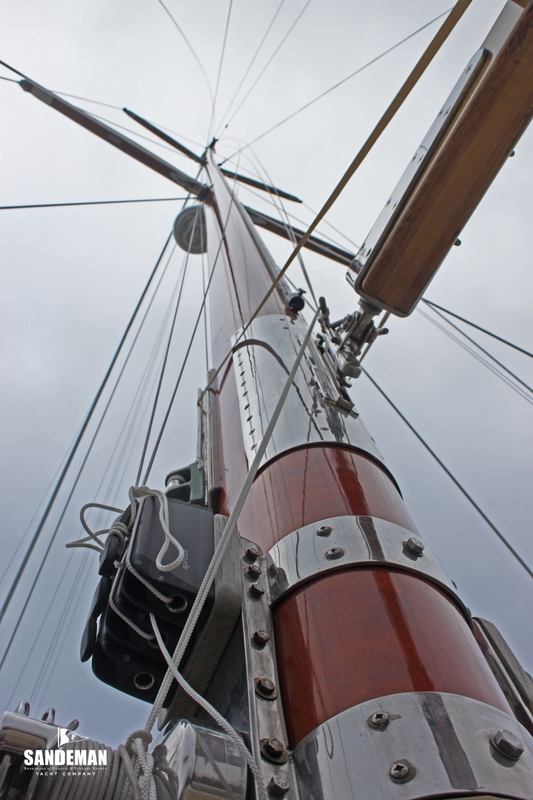 Her tall powerful rig makes her ideally suited for both light Mediterranean airs as well as effortless ocean crossings. 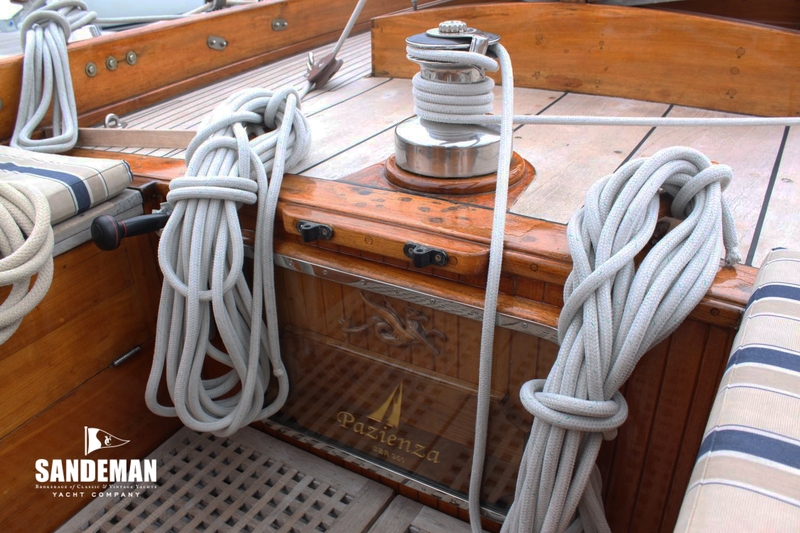 Since the 1960s PAZIENZA has been raced and sailed far and wide; winning ocean races as well as classic regattas in the UK and the Caribbean. 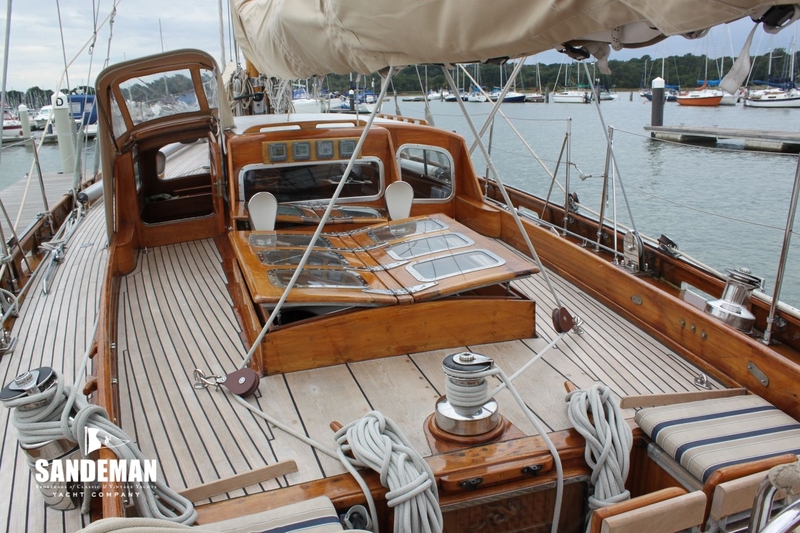 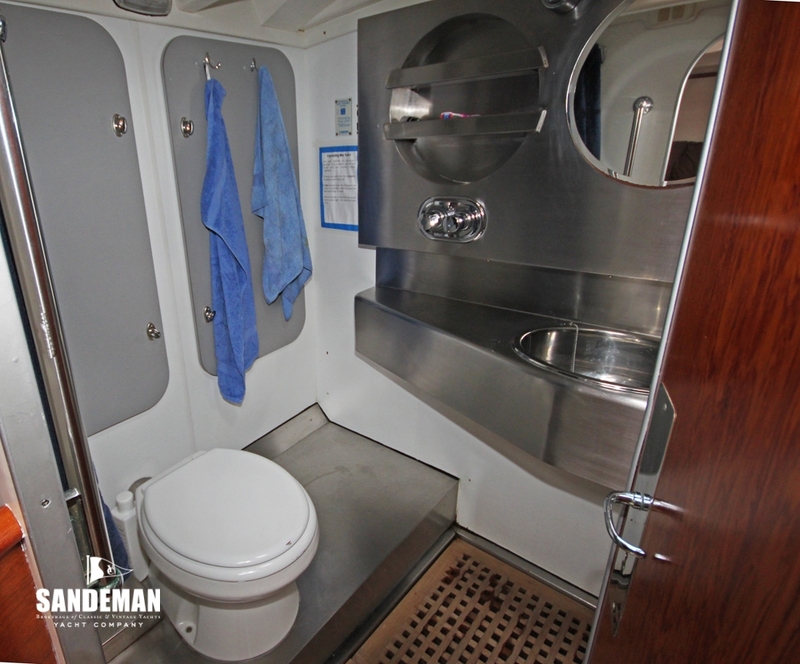 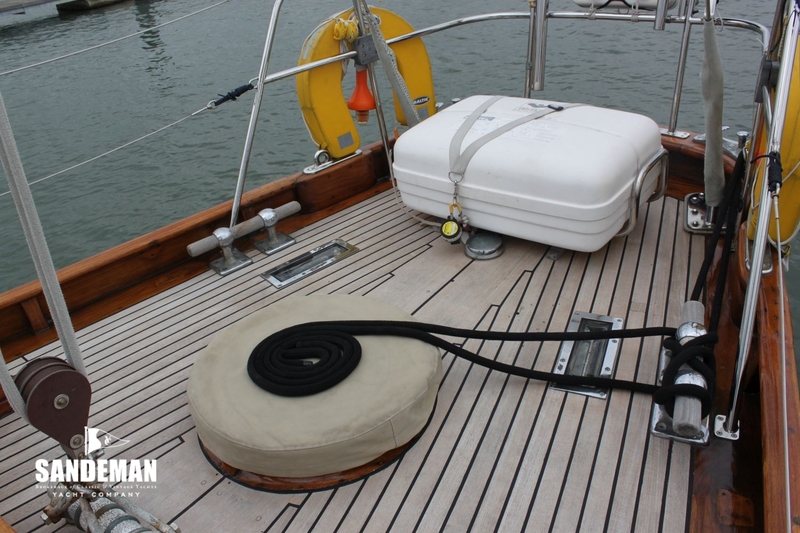 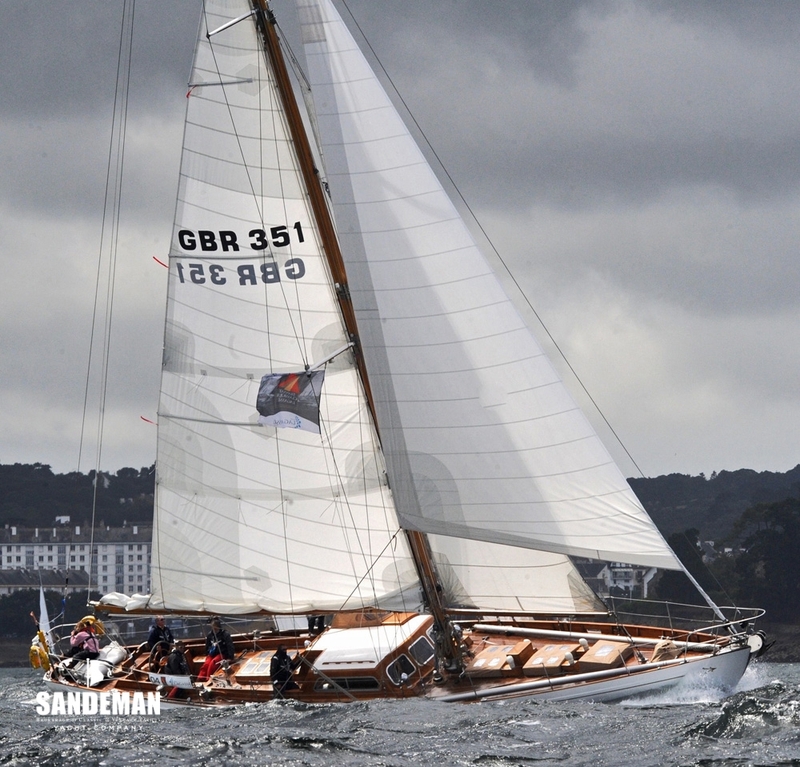 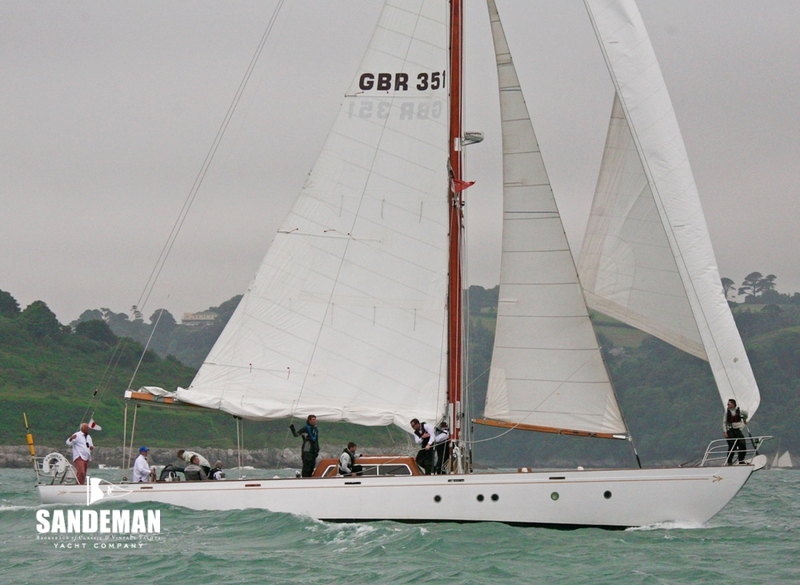 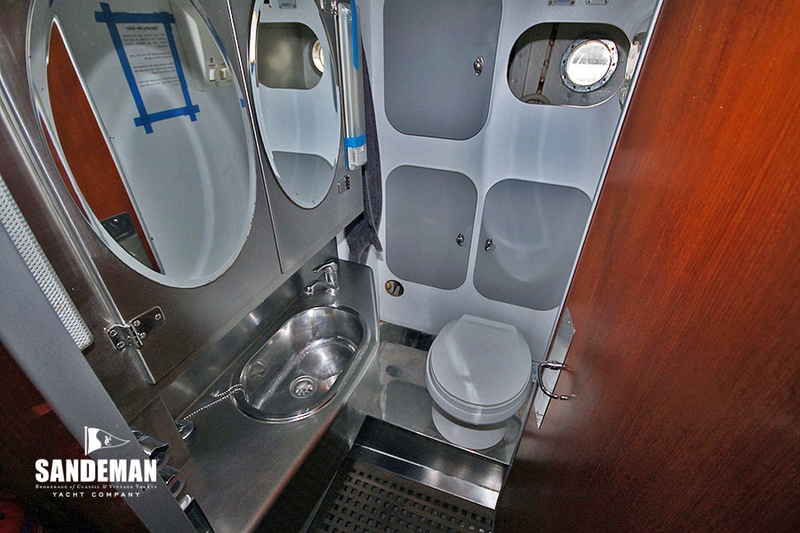 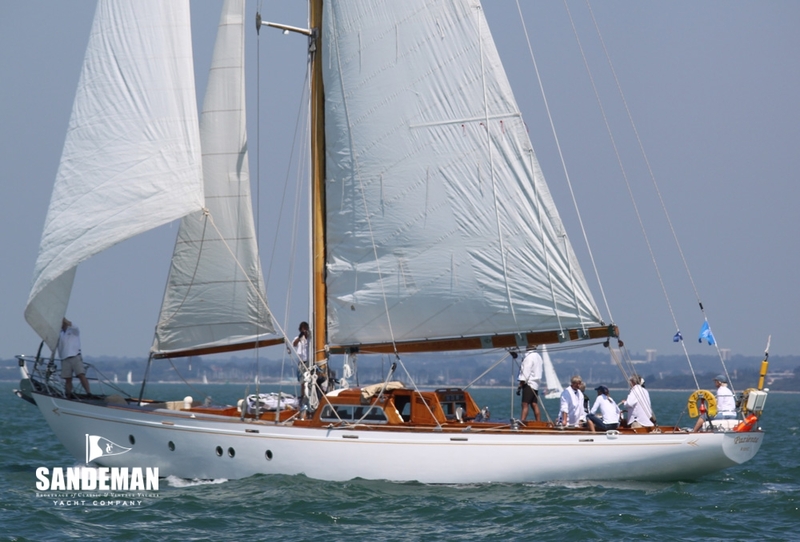 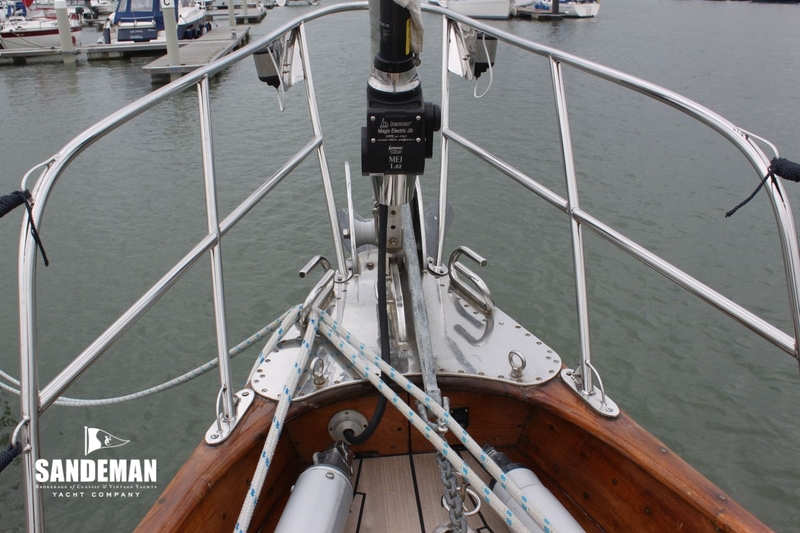 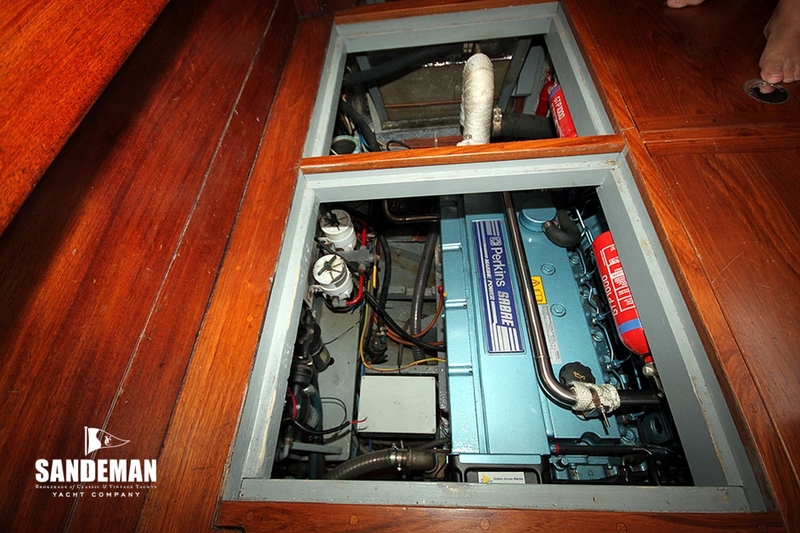 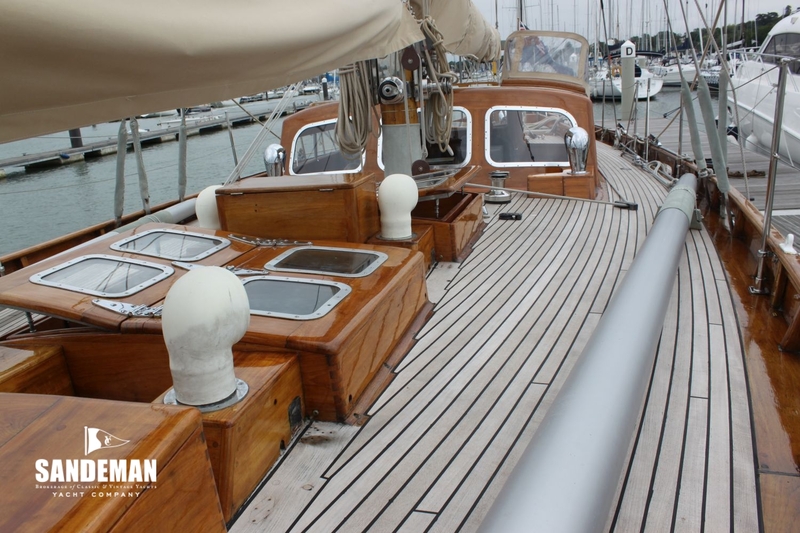 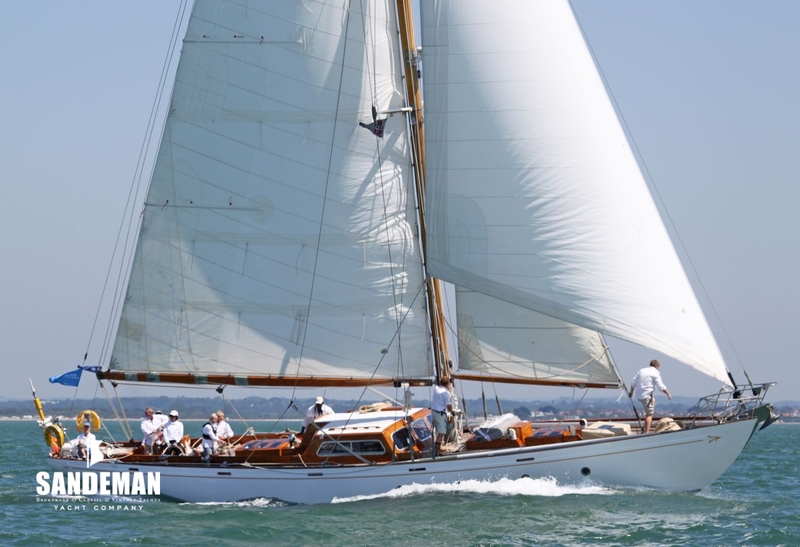 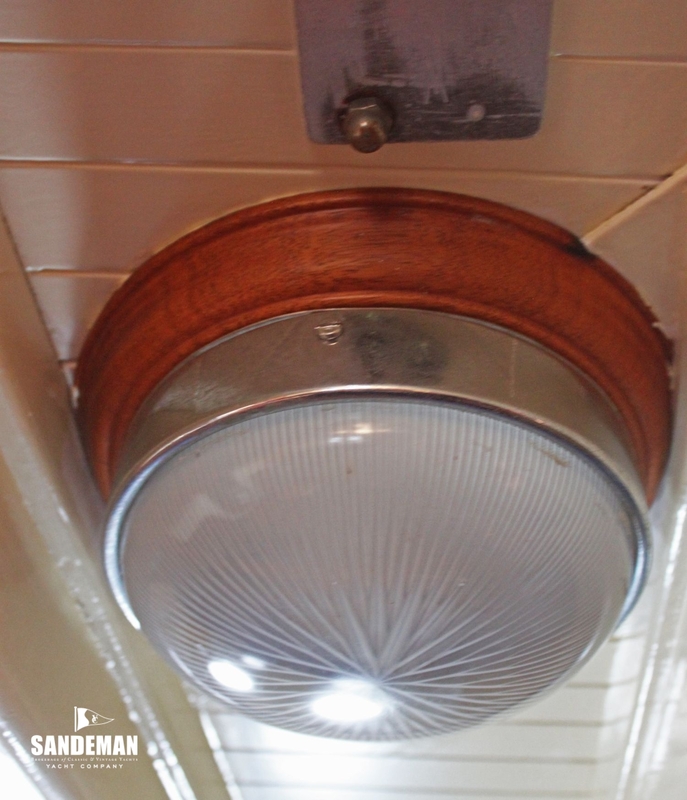 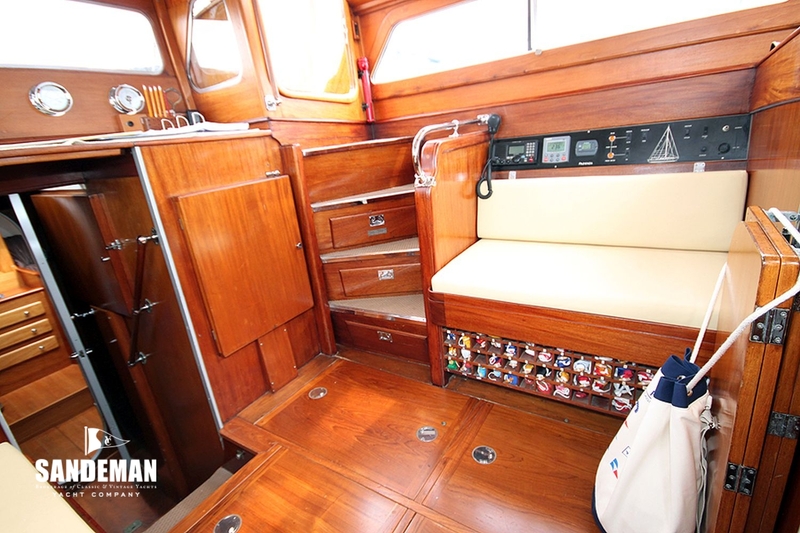 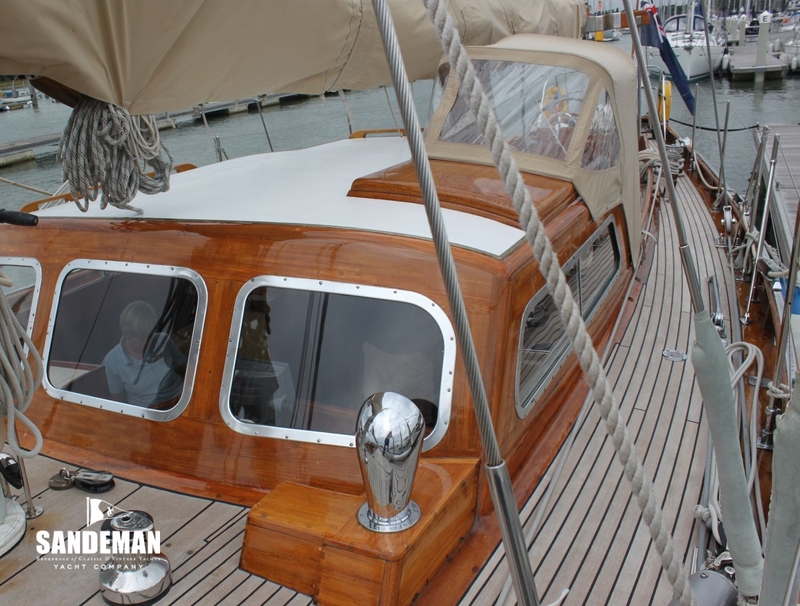 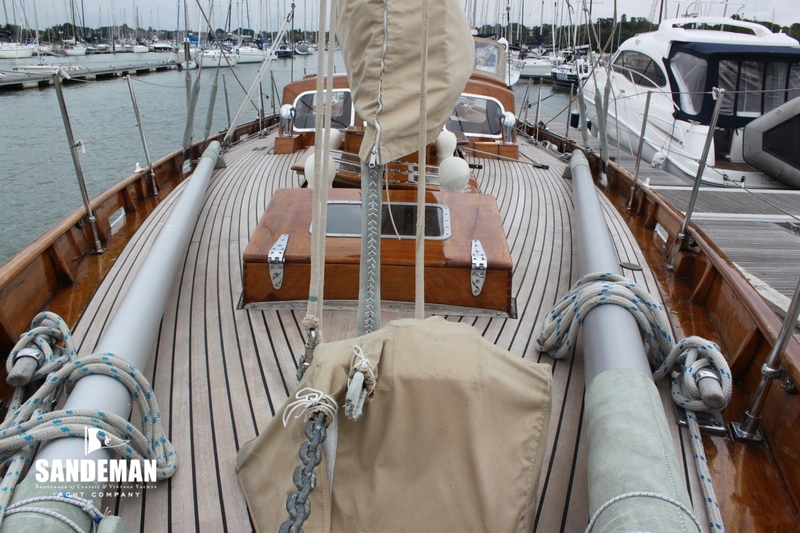 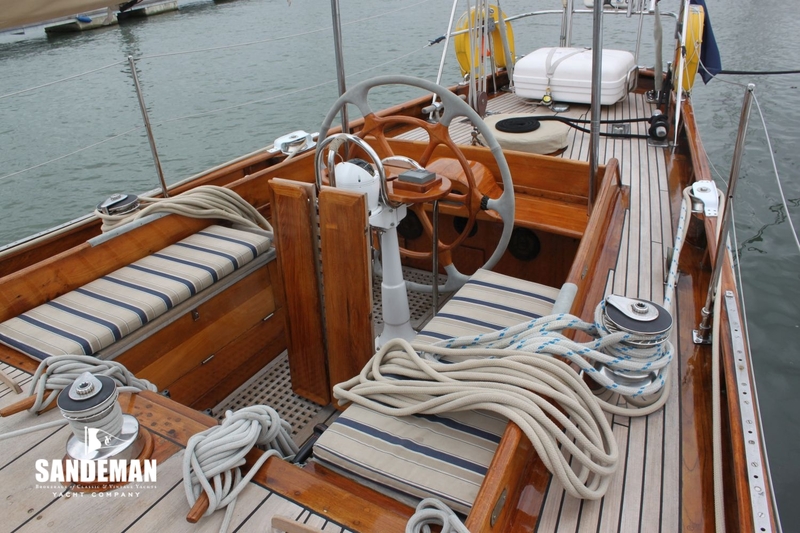 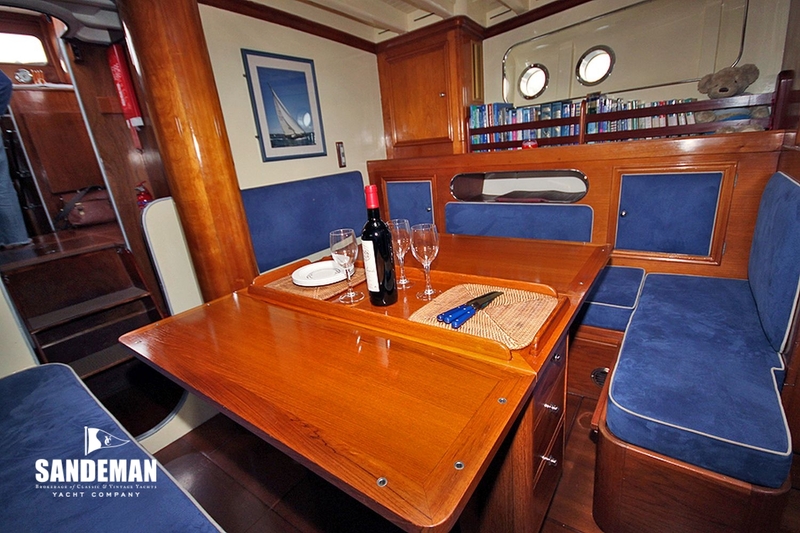 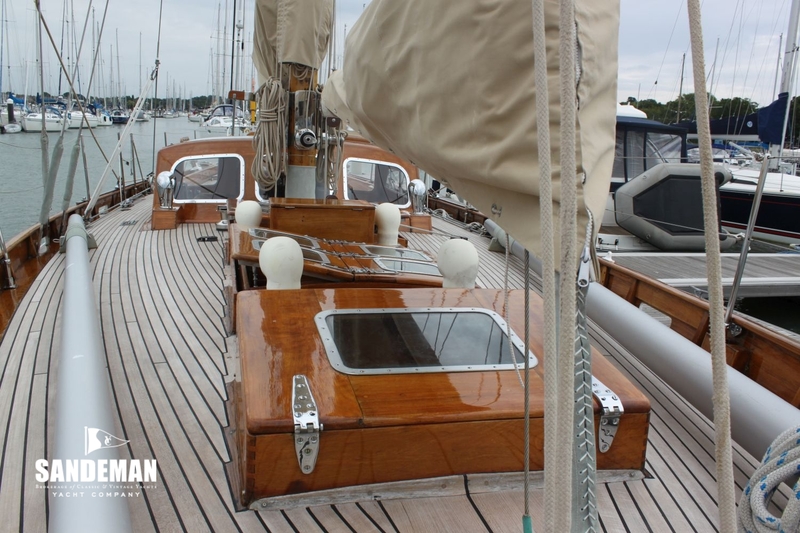 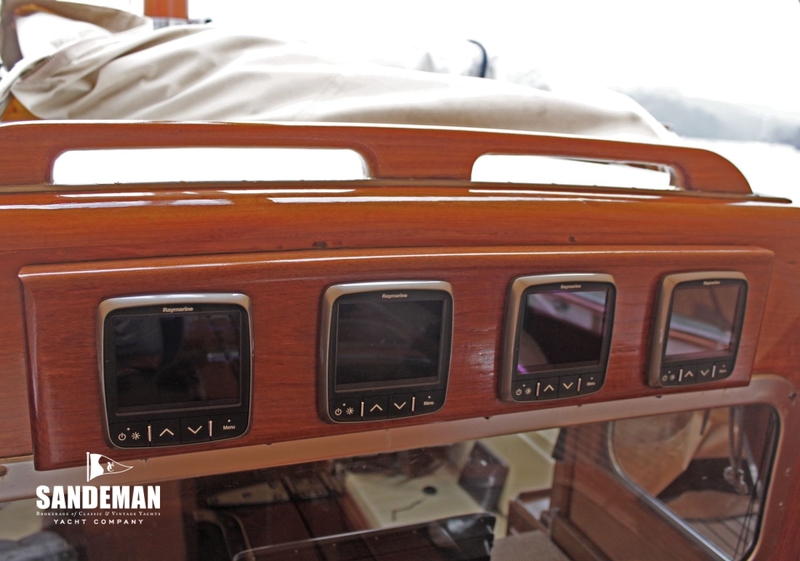 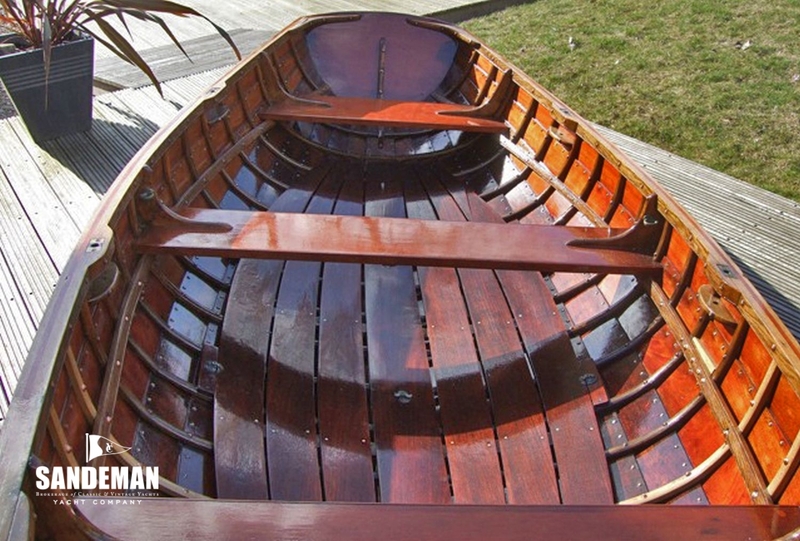 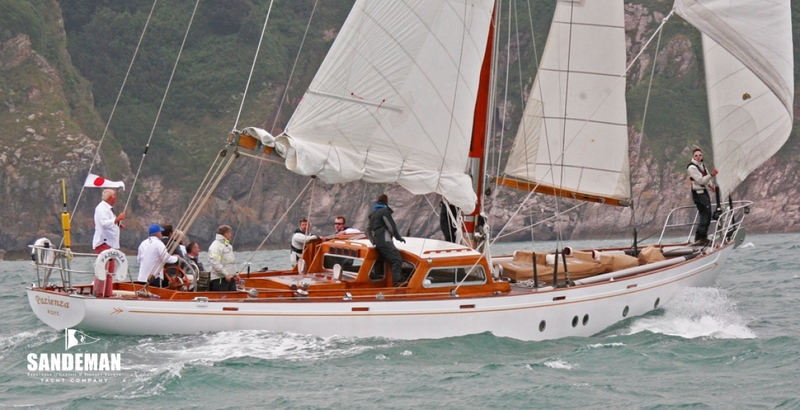 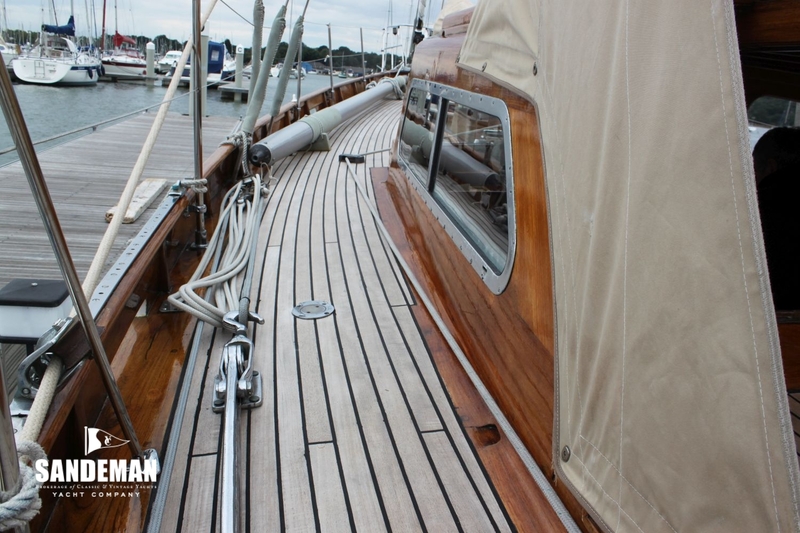 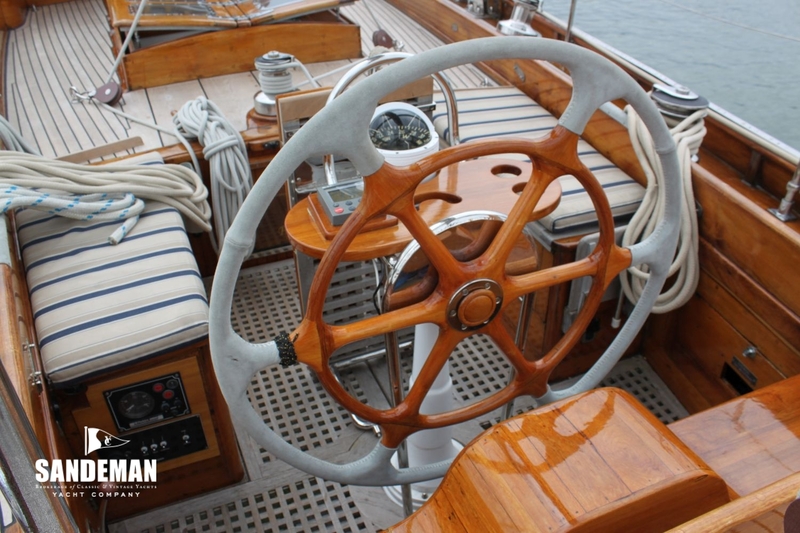 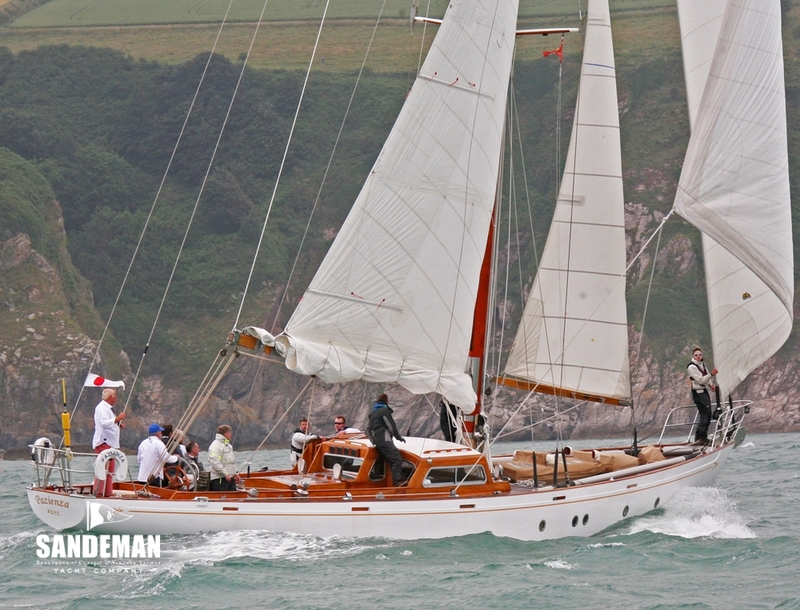 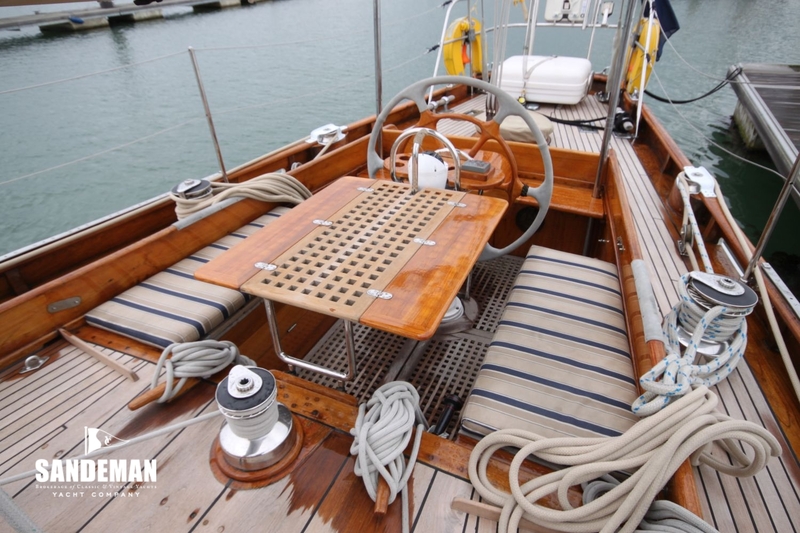 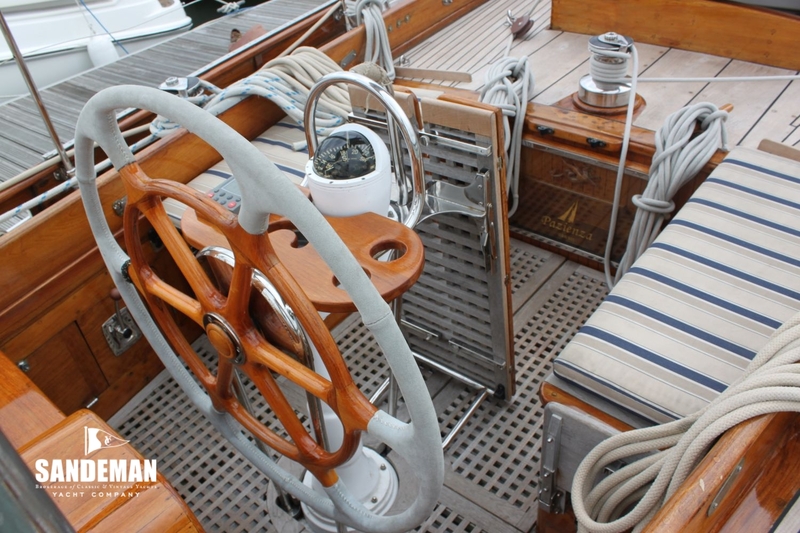 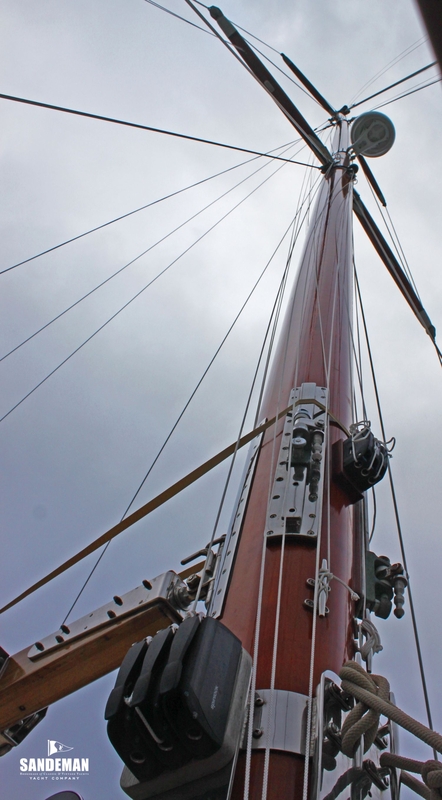 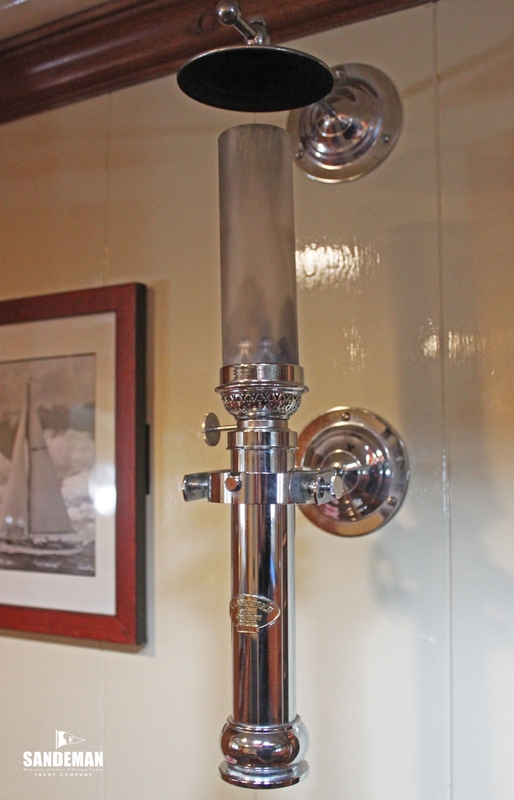 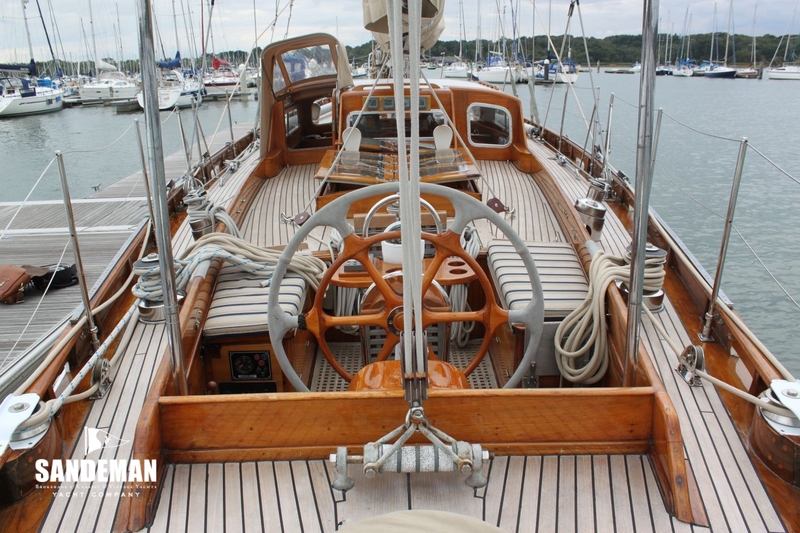 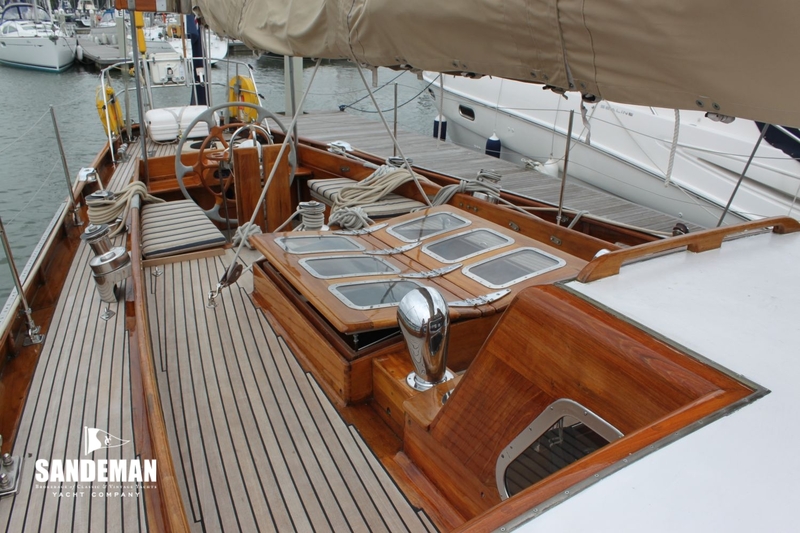 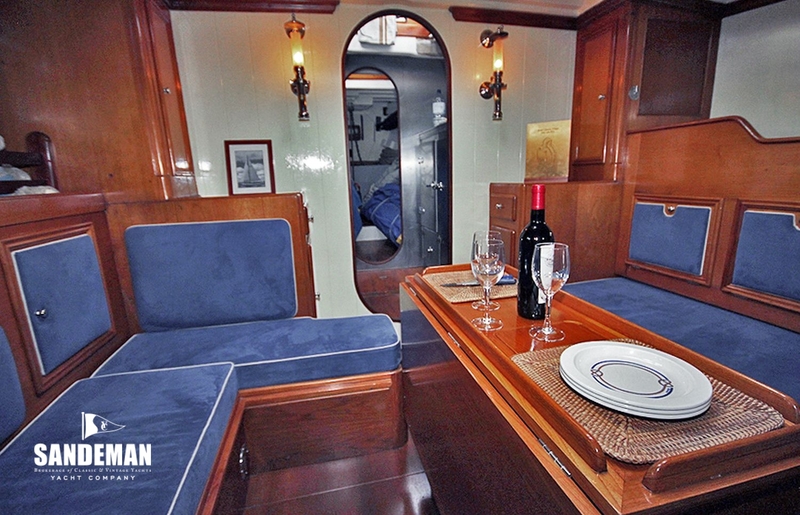 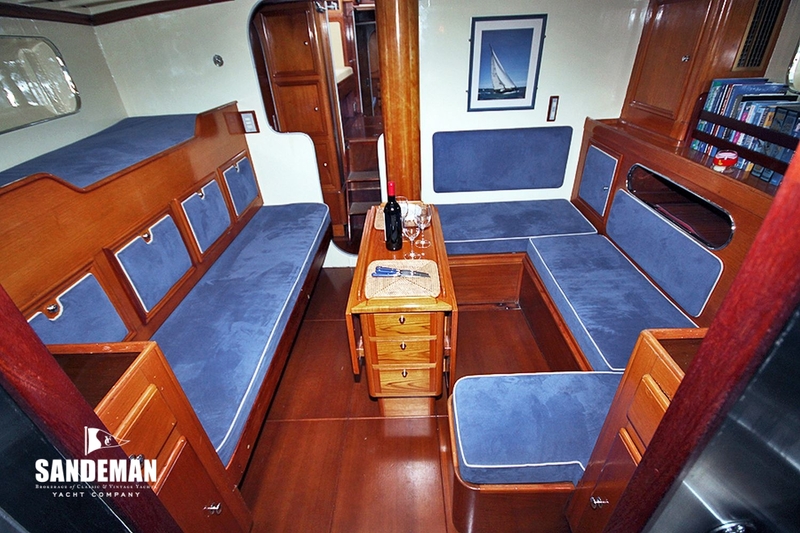 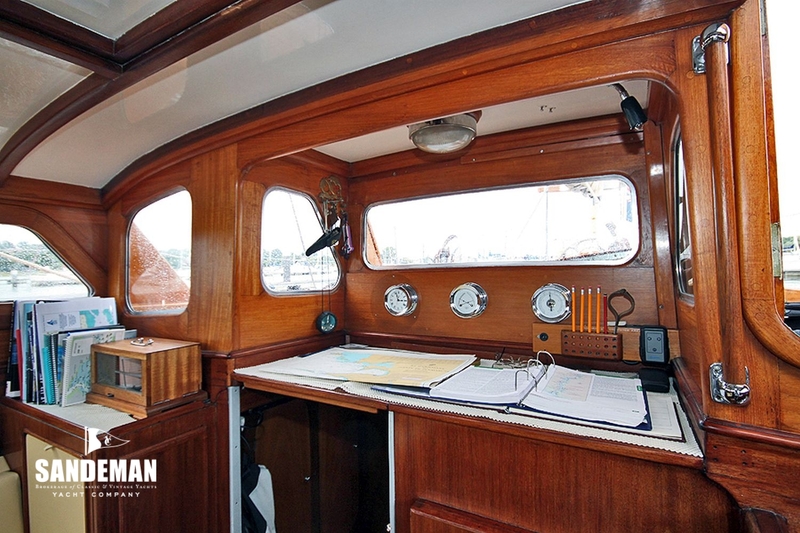 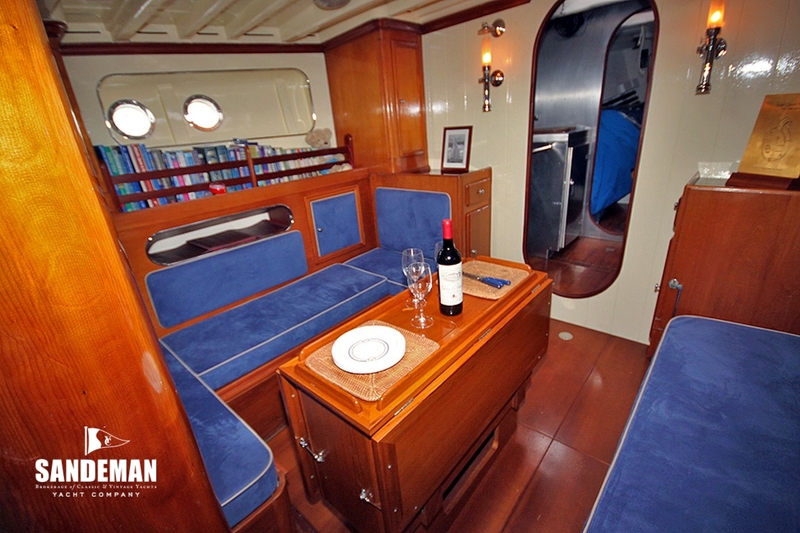 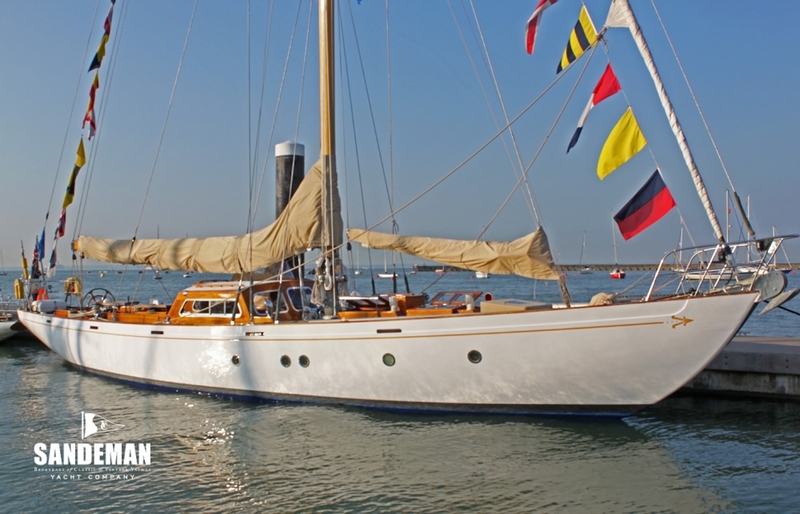 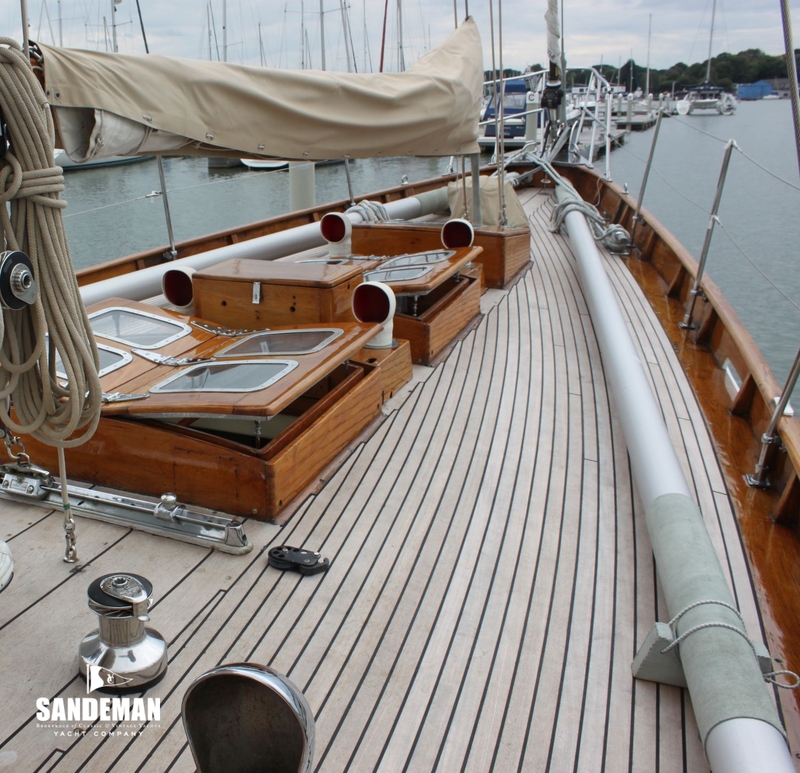 Her previous owners included Pete Townshend who won Falmouth Classics on a number of occasions. 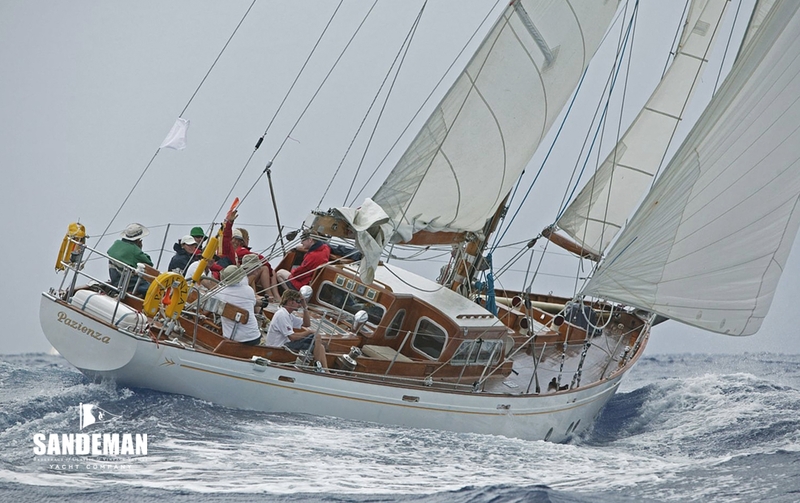 Her present owners since 2004 have raced and cruised extensively, including the inaugural Transat Classique in 2008/9, taking line honours on the leg to Agadir and podium position on the Atlantic leg. 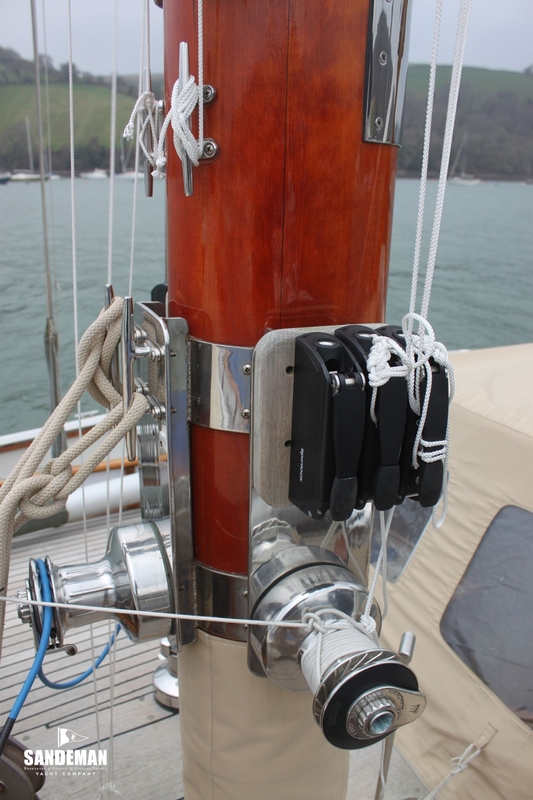 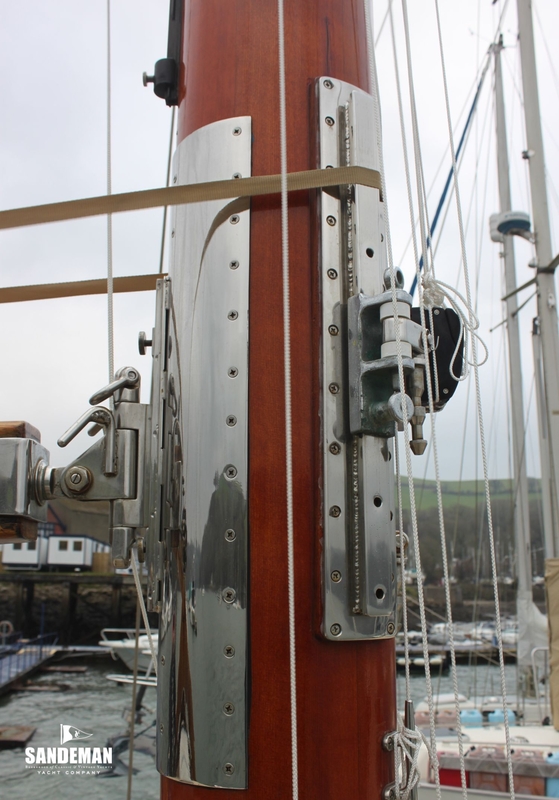 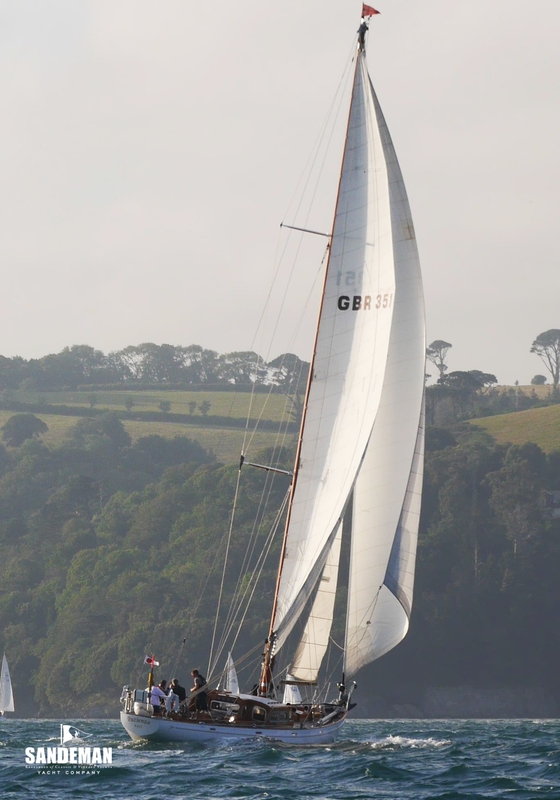 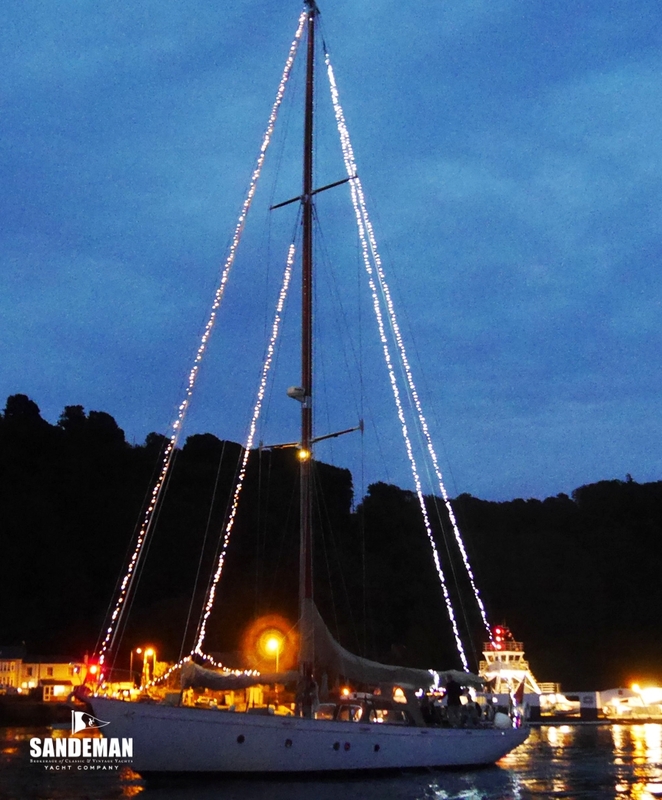 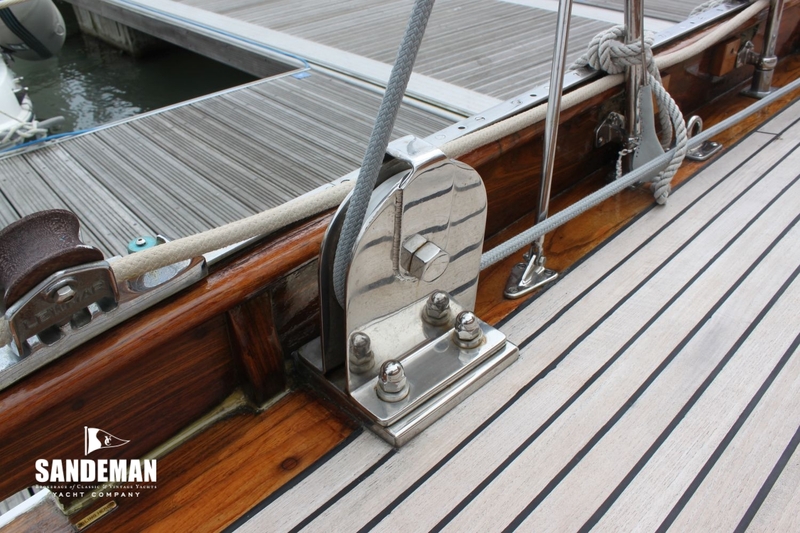 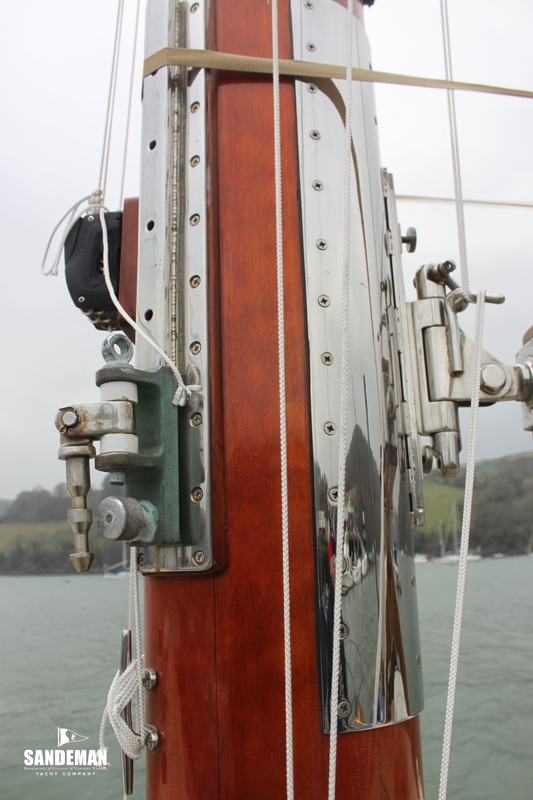 PAZIENZA is currently moored on a tranquil berth on the River Dart and is lovingly maintained to the highest standards.